Consider this comic book — Nia Griggs & The Kemetic Sisterhood of Science #0 (on sale now in digital format at Peep Game Comix) — the first round in a battle to populate pop culture with more (and hopefully cooler) super folk of color. So this one-shot issue — a “pilot episode” of sorts — is the beginning. It’ll be followed in coming months by two more one-shots, starring two more brand-new heroes. 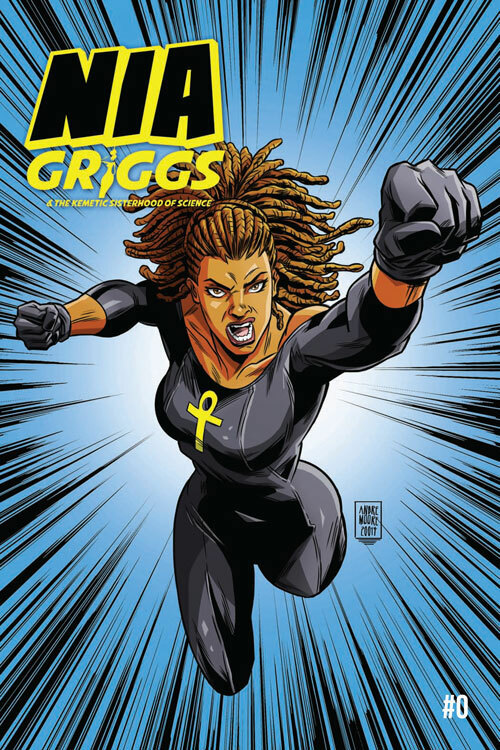 And then months after that, we’ll have another “Nia Griggs” one-shot … followed by more one-shots starring even more new heroes. We’re building new worlds y’all. And we’re hoping the comic book industry, and pop culture in general, will never be the same. Stay tuned … but in the meantime, buy Nia Griggs & The Kemetic Sisterhood of Science at: Peep Game Comix. This entry was posted in Comics, Nia Griggs and tagged Nia Griggs, The Kemetic Sisterhood of Science. Bookmark the permalink.